By a clic in "ecouter son message" just above, you can hear me! 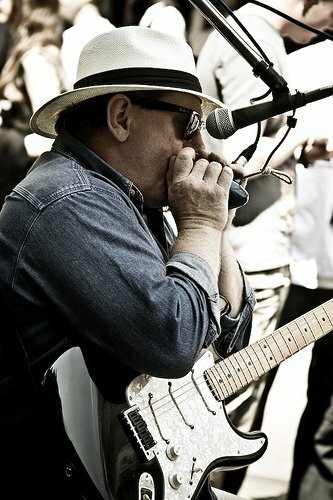 I am crazy about Blues and harmonicas. This is the worst web site on vintage harmonicas you can see in the whole WWW. Therefore, whether you are here to learn interesting things regarding where harmonica came, what was the name of the first craftsman who built it and, where he was born and what he liked for breakfast, please find yourself a serious web site! (e.g. www.harmonicacollectorsinternational.com or http://www.harmonicaguy.com/bill.htm or http://www.shermandoucette.com/index.html). This is an excellent 6 hole harmonina. The only one to my knowledge. Very playable and big sound. What Seydel workers are awaiting for ? Why this excellent harmonica only exist in the key of C ? These three take crooked ways: carts, boats, and musicians. 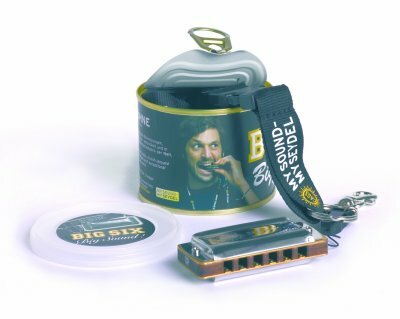 HARMONICA KING MADE BY HR HOTZ, GERMANY. IN 1825, FR HOTZ BEGAN PRODUCING 'MOUTH ORGANS' IN HIS FACTORY IN KNITTLINGEN, GERMANY. 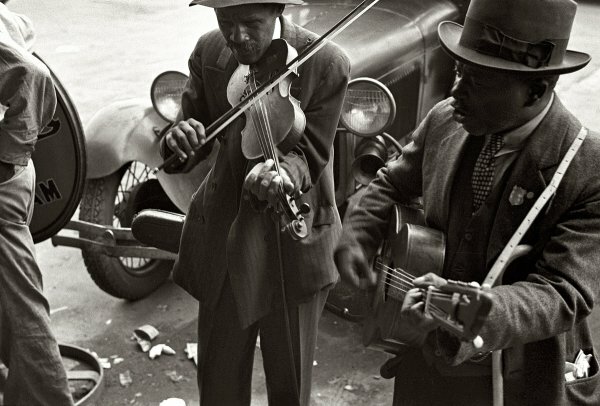 AT THE BEGINNING OF THE 20TH CENTURY IT WAS THE WORLD'S MAJOR HARMONICA AND ACCORDIAN MANUFACTURER. 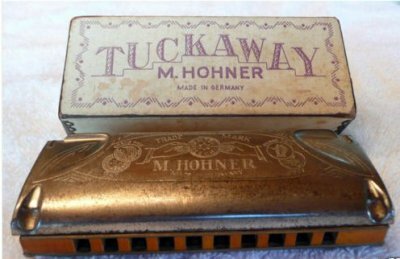 THE COMPANY WAS BOUGHT BY HOHNER IN 1906 BUT WAS RUN AS AN INDEPENDANT COMPANY UNTIL 1929. 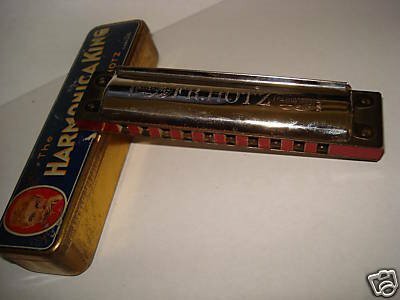 Hohner harmonica from the 1920's has spring-loaded cover plates that fold like a clamshell to protect the harmonica from all of what is already in your pocket!